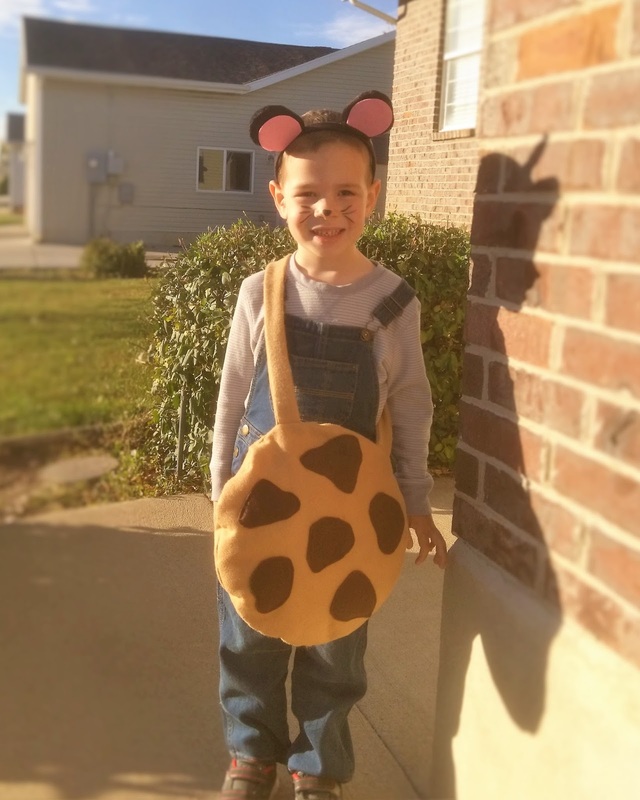 My 4 year old loves books and one of his favorite's is If You Give a Mouse a Cookie... so of course this year for Halloween he wanted to go as the Cookie Mouse. 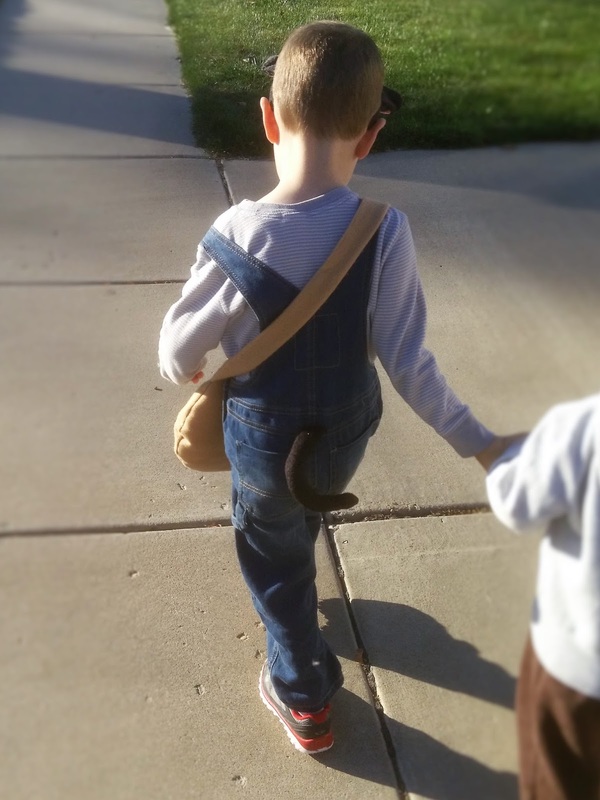 Sounded pretty easy; overalls, a gray shirt, mouse ears and tail, and of course the monstrous-for-a-mouse-sized cookie. The only thing that really took much effort was the cookie, which I stitched together out of felt, stuffed and made a strap for him so his hands could be free to do other things.